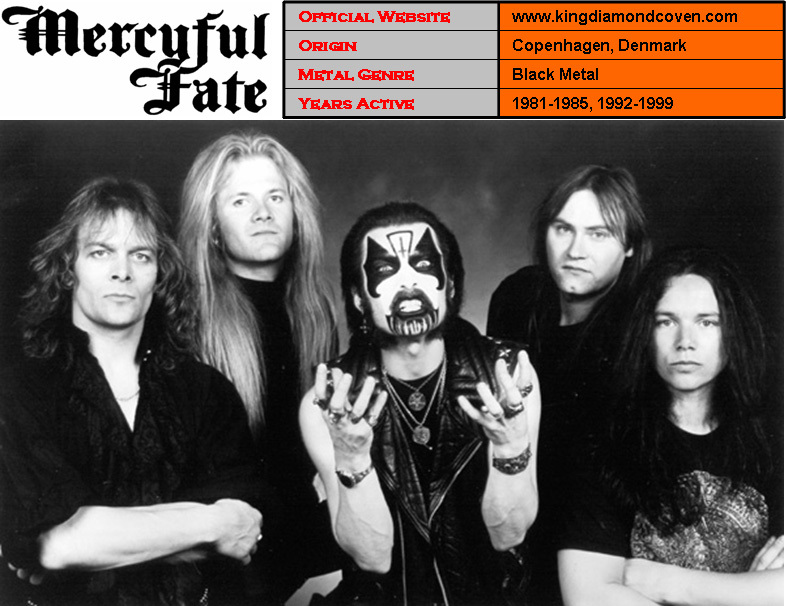 Mercyful Fate is a Danish heavy metal band from Copenhagen, formed in 1981 by vocalist King Diamond and guitarist Hank Shermann. Influenced by progressive rock and hard rock, with lyrics dealing with Satan and the occult, they were part of the first wave of black metal in the early to mid-1980s. Many of the bands from this movement went on to influence later black metal musicians in the 1990s, particularly in Norway. Since the band’s inception in 1981, Mercyful Fate have released seven studio albums, two extended plays and four compilations.